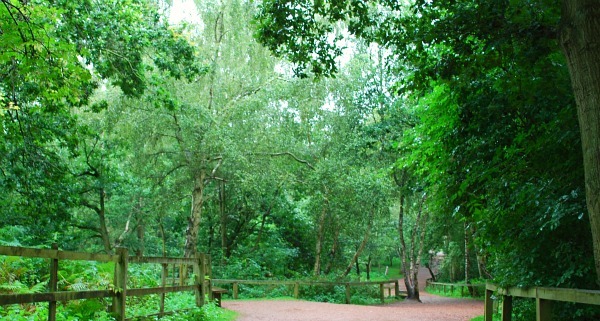 Sherwood Forest in Nottinghamshire is one of Britain’s most famous woodlands. It’s best known for the story of Robin Hood, the outlaw who famously stole from the rich to give to the poor. In Robin’s day, the forest stretched across large parts of middle England, but today there’s not much of it left. The best place to head to if you want to get a feel for what Sherwood was like is the 450 acre Sherwood Forest Nature Reserve at Edwinstowe. 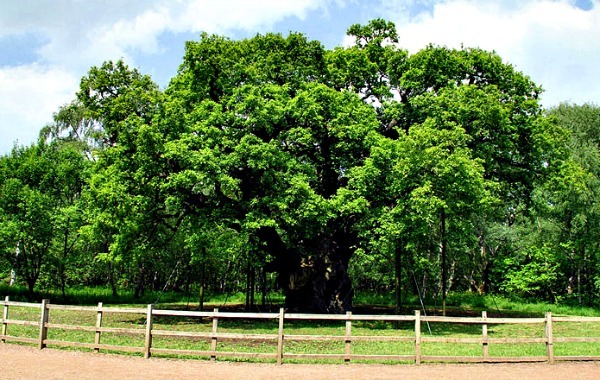 It’s here that you’ll find the most famous tree in the forest, the 800 year old Major Oak. 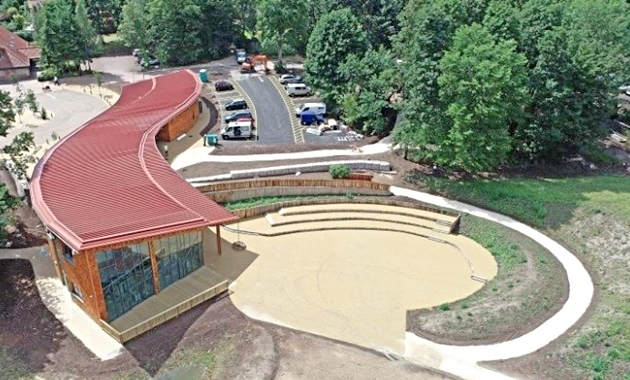 There’s a brand new visitors centre now at Sherwood Forest which is run by the RSPB. It’s a modern building and inside it tells you everything you need to know before heading for some time under the tree canopy. There’s also a shop and restaurant. When you’re ready to leave the Visitor’s Centre, you can follow a number of footpaths into the forest. Most visitors take the path which leads you to the Major Oak (pictured below), which is about 15 minutes walk. Because of its age, the Major Oak has needed extra support for the heavy branches for decades. Originally chains were used, then wooden supports and more recently steel props, which look a bit like scaffolding. As such England’s favourite tree, as it was voted in 2002, is not as attractive as it once was. There’s plenty more to see in Sherwood Forest and the rangers do regular walks to help you get the most from your visit. Bear in mind that Sherwood Forest has around 350,000 visitors a year and there are times when it can be busy – particularly at the annual Robin Hood Festival. Sherwood Forest Visitors Centre is free and is open from 10am to 5pm in the summer and from 10am to 4.30pm in the winter. Car parking at Visitors Centre is £4 per car (2018 prices) although RSPB members are free. We’d also recommend a walk into Edwinstowe too where the parish church which claims to have a marriage entry for Robin Hood and Maid Marian! Many of the shops in Edwinstowe have Robin Hood themes to them. 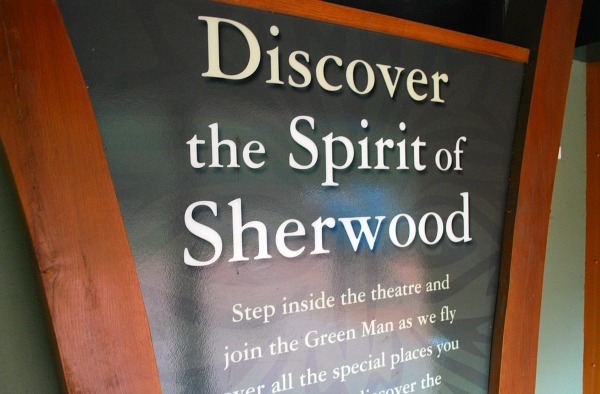 Sherwood Forest Visitor Centre is around 20 miles from Nottingham on the B6034 just north of Edwinstowe. From Nottingham, take the A60 then the A614 and follow the brown “Sherwood Forest” signs which you’ll see once you get near.